UPDATE: To get a more coconut-y flavor, you can add one cup of unsweetened grated coconut and 3/4 cup of evaporated milk to balance the batter. 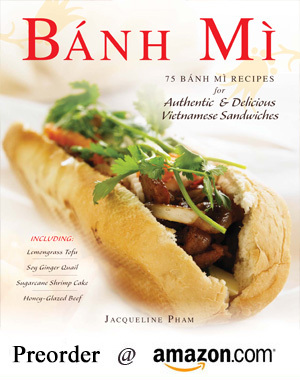 Published By: Jacqueline Pham on March 10, 2009. I've always wanted to learn how to make this. There's a Southeast Asian grocery 5 minutes away from where I live, and I think I can pick everything up from there. Can't wait! 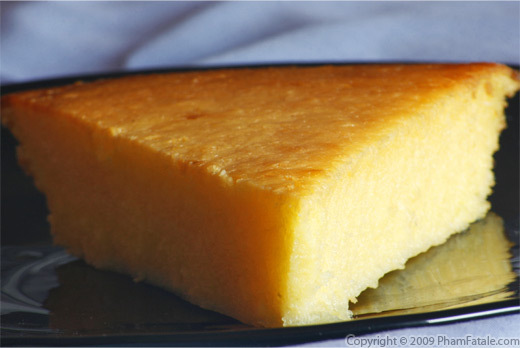 What size of round cake pan did you use to bake the Cassava cake in? All of your food pictures look gorgeous and delicious! I bake them in 9-inch diameter non stick cake pans. Hope this helps! Whenever we visit our favorite pho restaurant here in Minneapolis, we can never leave without buying this cake! Being from the Philippines, I love sticky cakes like these or ones made with rice but my husband loves them even more. I'm so thrilled that you've shared the recipe here so that I can make it at home. 8-) And I had no idea that it also has mung beans! 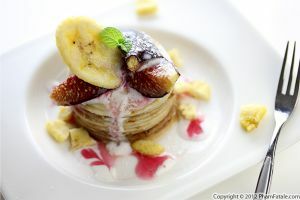 It's a fairly easy and quick dessert to make, especially if you buy the frozen pre-shredded cassava root. 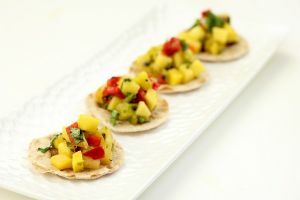 The kids usually help me mixing all the ingredients together, it's a lot of fun to get kids involved in the kitchen. 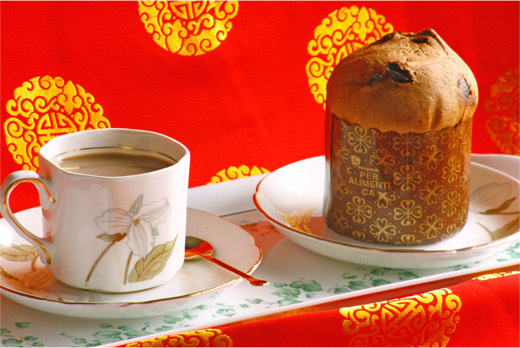 The mung beans helps for the consistency of the cake. where can I get the cassave? I find cassava in Asian stores, in California. Check the tip section: "You can find shredded cassava in the frozen section of any Asian store, well at least in California. 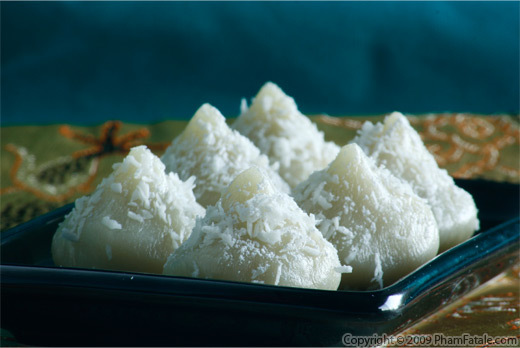 Buy cassava that is originated from Thailand and not Vietnam. It's sweeter and starchier. Do not forget to thaw the root before using it in the batter. I usually drain the extra liquid using a cheesecloth." I really must try this to see how it differs in taste to cassava pone which is similar. 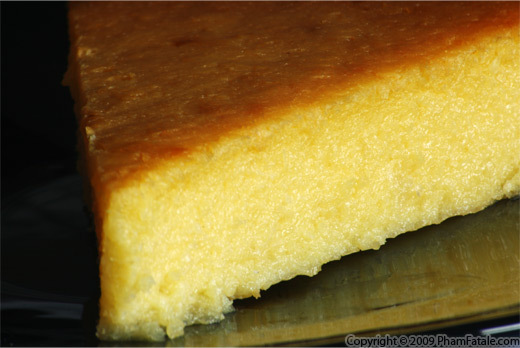 What is cassava pone? I've never heard of it? Oh man, what a blog you have.... am totally stumped by your talent & your generosity! ur husband and family are extremely lucky - cooking for so many ppl, with so many diet restrictions and allergies! you are a super woman! God Bless you Jaqueline! Hey, this seems like a really good recipe, but I can't get split mung beans though. I can only get whole mung beans, should I do the same thing to make the paste with these whole mung beans? this cake turned out like a gray mass of grossness, I like baking and consider myself an excellent cook. Perhaps the cassava i used was the wrong kind, the world market did not specify its origin. I had to get it fresh since the frozen was out. I followed the instructions to a tee. the batter tasted wonderfully coconuty, the cake, not so much, bland is how id describe it & that's if you can get past the grayness enuf to actually try it! how deep were the pans you used? hi Pham, ditto to depali's comment - thank you. in Jamaica our puddings are normally slightly firm and full of texture but refer to the smoother types as pones which looks similar to your cake. can cassava or tapioca flour be used for shredded cassava, and can any color mung bean be used? This is just what I'm looking for..yeees! saves my $1.50 a piece at a asian cake shop.....taste so nice and delicious...yuuuum & gotcha! thanks to this site. Would it be possible to omit the additional 2 Tbs of sugar from the recipe or would it drastically affect the sweetness or consistency? 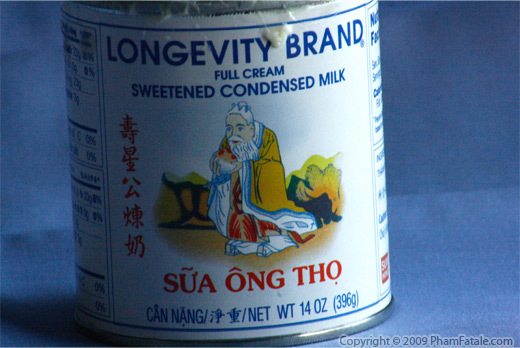 I find condensed milk to be very sweet so I would like to cut back, if at all possible. Tried your recipe last night & it was delicious! I used the 2 - 9" pans but it came out too thin. Next time I'll try the smaller pans & your other recipes! TY!!! Outlining could be a universal tool used for organizing instructional documents. It determines if the subject has been researched totally and divulges the connection between the paper’s ideas. The summarize reveals the structural purchase of the topics and subtopics, and permits keep the small print structured rationally. A good ability throughout this quite a tutorial writing offer a much better score during a very subject the support of lecturer’s professors. In general, smart writing ability may be an enormous and purpose for a future profession writers, as employers generally significance it among staff. I think I can pick everything up from there. Can't wait! Your recipe is very very detailed. Thank you so much for sharing. I want to make it for this weekend.